For many people the term "trash fish" might not sound like a great tasting meal, however Prairie Grass Cafe (601 Skokie Boulevard, Northbrook, IL 60062; 847-205-4433) is out to change your thinking. Chef and owners Sarah Stegner and George Bumbaris will be offering trash fish dishes on Monday's or Tuesday's, when available, allowing everyone the opportunity to taste lesser popular fish varieties themselves. This includes Blue Fish, which taste sweet and have a similar texture to bass fish, Speckled Trout, which is similar to lake trout, and King Fish which is appetizing, meaty and more. such as speckled trout and Atlantic Pollock, are underutilized. The National Marine Fisheries Service found that nearly one fifth of fish caught in U.S. waters are discarded. This means that by creating a market of trash fish, we are able to increase efficiency within our food system. Trash Fish are sustainable; they cannot be easily overfished since they grow quickly and reproduce in great quantities. "By eating lesser known trash fish not only are you able to help the ecosystem but you'll have the opportunity to learn about how delicious the varieties are," she says. Sarah learned about sustainable seafood after spending time with fishermen on Kodiak Island in Alaska. Now Prairie Grass Cafe's chef has joined Shedd Aquarium's Right Bite program. The program works with restaurants, retailers, culinary schools, and more to help sell and teach about sustainability within the seafood industry. To further Prairie Grass Cafe's involvement in a sustainable ecosystem, George and Sarah will be teaming up with eight chefs for the Trash Fish Dinner. Chefs Collaborative, Fortune Fish and Gourmet and Paul Fehribach of Big Jones are holding the event to help show guests how tasty trash fish can really be. Chefs like North Pond's Bruce Sherman, Trattoria No. 10's Laura Piper and Blackbird's Paul Kahan are just one of the many participating at the event. The event will takes place May 20 with an eight course, family-style dinner at Big Jones (5347 North Clark Avenue, Chicago, IL 60640; 773-275-5725). Cocktail hour begins at 6 p.m. with dinner taking place at 7 p.m. Chefs Collaborative hopes this builds up talk about the need for sustainability and bring awareness to the issue. Tickets, which include tax and gratuity for $125, can be purchased at http://chefscollaborative.org/events/. A portion of the ticket sales benefit Chefs Collaborative sustainability initiative. Tour The Amalfi Coast With GreatValueVacations From $1,299 Per Person! Stop dreaming about Italy and start experiencing it first-hand with GreatValueVacations' fabulous "Amalfi Coast Vacation" package priced from just $1,299 per person! package includes six nights in Sorrento with the opportunity to add on an additional two nights in Rome! Upon arriving in Naples, travelers pick up their rental car and head south along the east coast toward the stunning Sorrentine Peninsula and the beautiful Hotel Gardenia. This wonderful hotel has undergone a recent renovation that reinforces its commitment to safeguarding the local landscape and environment, and is, today, an eco-friendly example of modern Mediterranean architecture. Located within walking distance of the beach and just a short stroll from the old town center, the Hotel Gardenia, with its stunning views of the Bay of Naples, is the perfect spot to relax. While Sorrento will be “home” for six nights, travelers are encouraged to explore the magnificent Amalfi Coast. The myriad options that await include catching the ferry to Capri and exploring the miraculous Blue Grotto, or heading to Naples to visit Vesuvius and the ruins of Pompeii and Herculaneum. Venture a little farther south and explore the many lovely towns that dot the Amalfi Coast. All local taxes, hotel service charges, carrier and government taxes/fees/facility charges on airfare. Gratuities, some local city taxes, and meals are NOT included. This package is priced from $1,299 per person, based on double occupancy, for travel November 1, 2013 to March 31, 2014 from New York-JFK. Flights from other gateway cities available at higher rates. Additional nights are available. Black-out dates apply and rates are based upon availability. This rate includes airline and government-imposed taxes and fees, is valid for new bookings only, subject to availability, and may be affected by fluctuations in exchange rates. $99 Upgrade — Includes breakfast daily at the Hotel Gardenia and dinner at Restaurante Tazo in Sorrento. $200 Upgrade — Add an additional two nights at the Villa Vecchia in Rome with breakfast and extended car rental. 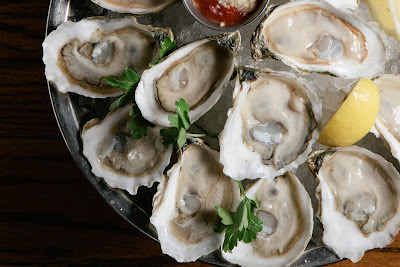 ½ Priced Oysters All Day Long; 50 cent oysters from 3-6 p.m.
Chicago, IL (April 2013) - From brunch to the perfect gift, from city to suburbs, many locations in Chicago will help create a unique experience on Mother's Day, Sunday, May 12. Here are three excellent ways in the Chicagoland area to show your mother love. Chicago French Market The Chicago French Market (131 North Clinton Street, Chicago, IL 60661; 312-575-0306) has many vendors featuring wonderful gifts for Mother's Day. Abbey Brown Soap Artisan will be offering a new Chicago Candle collection, made to pair with the Chicago line of hand-made soaps. Each candle is made out of natural materials, and there are nine different candle scents for only $8 each. Abbey Brown also suggests giving a $15 Body Butter. You can add a Mini Milk Bath for $5 with Body Butter purchase ($26 value), Offer is available now through Mother's Day. Pastoral Artisan Cheese, Bread and Wine will be selling The Great Ladies of Cheese Gift Medley, one of their best sellers. The gift is inspired by the well-known women forerunners of America's artisan cheese movement. Each piece within the collection was created by a female cheesemaker. You can order in-store or online at http://shop.pastoralartisan.com/index.php/gifts/great-ladies-of-cheese.html. Oh Olive! will feature great gifts that any mother would love. Fresh extra virgin olive oil is great to pair with balsamic vinegar. Combinations like garlic olive oil and pomegranate balsamic vinegar, basil olive oil and grapefruit white balsamic and Tuscan herb olive oil and traditional eighteen year balsamic are customer favorites this season. Not only is this a healthy, delicious gift to give your mother, but you can get it gift wrapped for free, making the day a little easier. Bello Tea is offering many options for gifts to show you care. One Mother's Day favorite, Tea baskets, come filled with a variety of teas, tea cups, tea infusers, and ice tea sets, starting at $28. Matcha for Moms starter kits, which includes a blender bottle and a choice of a Matcha blend, is a type of Japanese green tea. It has the same amount of caffeine as black tea but is still rich in amino acids and low on calories. The has ten times the amount of cancer fighting antioxidants in a regular cup of green tea, boosts memory, and helps regulate blood sugar. This way you can give something healthy and exciting. Maxwell's at the ClubA special brunch will be held at Maxwell's at the Club (500 N Kingsbury St., Chicago, IL 60654; 312-527-5800) for Mother's Day. From 10 a.m. to 3 p.m. everything from breakfast pastries and appetizers to salads and dessert will be offered to adults for $45 and $15 for children ten and under. 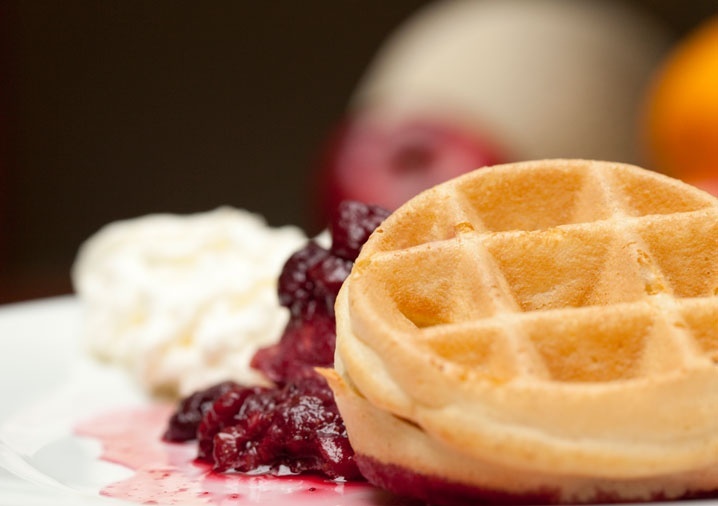 Among the long list of delicious food being offered at Maxwell's there will be breakfast basics, such as Sour Cream Pancakes, Bacon and Pork Sausage, and a Waffle and Omelet Bar. There will be a carving station, with favorites like Roast Prime Rib of Beef with Au Jus and Horseradish Sauce and Roast Rack of Lamb with Mint Jelly. A variety of salads will be offered, including Greek Yogurt-Dill Potato Salad and a new flavor, Carrot Salad with Raisins, Honey, Orange and Cinnamon. Maxwell's also includes classic breakfast favorites such as toasted bagels and seasonal fresh fruit and berries to ensure that everyone finds something they love. To find out more about Maxwell's brunch you can call them at 312-527-5800. For reservations or to see the full menu, visit their website at http://eastbankclub.com/dining/maxwells-at-the-club/events/mothers-day-brunch/. Prairie Grass Cafe If you are celebrating Mother's Day on Chicago's North Shore, Prairie Grass Cafe (601 Skokie Boulevard, Northbrook, IL 60062; 847-205-4433) is featuring an exciting brunch. From 9:30 a.m. to 2 p.m. a sumptuous buffet, with desserts, will be offered for $45 per adult and $15 per child ten and under. Prairie Grass Café will begin th e celebration by serving each guest their signature PGC Benedict, a poached egg with spinach and roasted tomato hollandaise. The buffet continues with a variety of tasty selections including Grilled Chicken and Penne Pasta Salad and Applewood Smoke Maple Creek Farm Bacon. Other choices include a platter of Grilled Asparagus, with lemon cream sauce and sliced radishes, Parmesan Crusted Tilapia over creamed spinach and Braised Pork with spicy sauce and refried black beans. The buffet also will offer a waffle station, made to order omelet station, and Prairie Grass Cafe's signature Beef Shepherd's Pie. After you have experienced Prairie Grass Cafe's delicious buffet, a dessert buffet will be the perfect finish to the meal. It includes breakfast favorites such as freshly sliced fruit, a dish of fresh berries along with desserts such as Double Chocolate Cupcakes, Mini Cream filled Eclairs and Strawberry-Rhubarb Crumble. There also will be a crêpe station with Valrhona chocolate and hazelnut spreads, raspberry jam and whipped cream. Tax, gratuity and beverage are not included in the buffet price. For reservations, call 847-205-4433 or visit their website at www.prairiegrasscafe.com. Benny's Chop HouseBenny's Chop House (444 N. Wabash, Chicago 312-626-2444) will be serving a special Mother's Day menu 11 a.m. to 9 p.m. with additional brunch selections 11 a.m. to 2 p.m.. Benny's has engaged a professional photographer to take family photographs for each family to remember the day. For information and reservations, visit http://www.bennyschophouse.com. The American Kidney Fund (AKF) will host Kidney Action Day at Millennium Park in Chicago on Saturday, May 11, 2013, from 10 a.m.– 2 p.m. The event is free and open to the public and will include free kidney health screenings (including blood pressure and glucose screenings), interactive fitness demos, local entertainment, children's activities and healthy food samples. Kidney Action Day will bring together hundreds of local health advocates, patients and members of the greater Chicago community to raise awareness for those at risk for chronic kidney disease (CKD). The free health screenings will check for indicators of kidney and heart health, diabetes, and other important health measures. There is no pre-registration required for those interested in participating in the screening, which is open to everyone 18 and older. Participants are encouraged to bring the whole family out to enjoy an educational and entertaining event. It is estimated that as many as 31 million people in the United States are living with CKD, the nation’s ninth-leading cause of death. CKD is known as a silent killer because it usually presents no symptoms in the early stages, making screening essential for those who are at risk—particularly those who have the key risk factors of diabetes, high blood pressure or a family history of CKD. Other common risks for kidney disease include having heart disease, being over age 60, or being African American, Asian American, Native American, or of Hispanic ethnicity. CKD is an often-preventable health condition. If an individual has developed early CKD, detection through testing is a key factor in slowing or stopping the progression of the disease. Left undiagnosed and untreated, CKD can lead to heart attack, stroke, kidney failure and death. In many neighborhoods in Chicago, kidney failure rates are nearly double the U.S. average. Because prevention and early detection are vital to keeping at-risk individuals in good health, AKF’s national campaign, Pair Up: Join the Fight to Prevent Kidney Disease, urges the public to learn if they’re at risk for kidney disease and to spread the word to friends or loved ones who also may be at risk. As part of Pair Up, AKF educates the public about risk factors and offers Kidney Action Days and other free kidney health screenings in cities nationwide. The American Kidney Fund is dedicated to fighting kidney disease through direct financial support to patients in need, education and prevention efforts. In 2012, AKF provided almost $190 million in treatment-related assistance to dialysis patients across the country and more than $7.9 million to patients in Illinois. Outdoor events and festivals are now in full bloom. Check out all the free activities awaiting you, presented by the Department of Cultural Affairs and Special Events.
. The full lineup has just been announced and in addition to fun. on opening night, Thursday features Robin Thicke, Friday features Robert Plant Presents The Sensational Space Shifters presented by 93XRT, Jill Scott performs on Saturday and Bud Light presents Neon Trees on Sunday. Additionally, there's a free show on Saturday morning at 11am, presented by Radio Disney AM 1300 featuring IM5. Sweet Home Chicago - Countdown To The Blues Festival Begins! May kicks off the blues season in Chicago featuring a number of "Blues Month" performances at various Chicago Park District and Chicago Public Library locations throughout the City. Blues music will also fill the halls of the Chicago Cultural Center during May as part of the popular LunchBreak Series each Tuesday and Thursday at 12:15pm, as well as Thursday evenings at 5:30pm. A preview on Daley Plaza is set for Monday, June 3 at noon featuring Nellie "Tiger" Travis. Don't Miss A Special Muddy Waters Blues Event! "The Blues had a baby," sang Muddy Waters, "and they named it rock and roll." On November 22, 1981 at the tiny Checkerboard Lounge on Chicago's south side, Muddy Waters and The Rolling Stones took the stage for a jam session with historic proportions. On June 4, at the Jay Pritzker Pavilion in Millennium Park, don't miss a special screening of the concert film that captured a piece of blues history, Muddy Waters & The Rolling Stones, Live at the Checkerboard Lounge,1981. The film starts at 6:30pm. This year's Chicago Gospel Music Festival, presented by the Black McDonald's Operators Association, is proud to introduce the Battle of the Gospel Choirs. There's still time to enter your choir. Deadline for entries is May 7. Once entries are reviewed, choirs advancing to the regional round will compete either at Austin Town Hall Park on May 18 or the Washington Park Fieldhouse on June 1. The finale competition will be on the opening night of the festival, June 20 on the Jay Pritzker Stage in Millennium Park and the winner will open for the Saturday evening headliners in Ellis Park. Headline acts just announced include: Smokie Norful, John P. Kee, Lecrae and more on the McDonald's Inspiration Celebration Gospel Tour and the Brat Pack: Bishop Hezekiah Walker, Ricky Dillard and Donald Lawrence. The City of Chicago Farmers Markets presented by COUNTRY Financial will begin in May. On Saturday, May 11, both the Division Street (Division and Dearborn) and the Lincoln Park (Armitage and Orchard) Farmers Markets open at 7am and on Sunday, May 12, the Beverly (95th and Longwood) Market opens. Dinosaurs To Invade Millennium Park! From cute baby dinos to the T-Rex (no relation to Sue! ), Erth's Dinosaur Petting Zoo is bringing their interactive production to Chicago! This is a petting zoo like no other with dinosaurs who roamed the planet millions of years ago. Performances begin May 23-24 at the North Park Village Nature Center and then move to Millennium Park's Wrigley Square, May 25-27. All performances are free. The City of Chicago will honor our fallen heroes at its annual Wreath Laying Ceremony and Memorial Day Parade on Saturday, May 25. The Wreath Laying Ceremony will begin at 11am at the Eternal Flame on Daley Plaza (Dearborn and Washington Streets). The parade will step off at noon and proceed south on State Street from Lake Street to Van Buren Street. In addition to honoring all men and women who made the ultimate sacrifice in defense of our country, a special recognition of the Illinois Gold Star Families will be included in the ceremony and at the parade. The Chicago parade is considered one of the largest Memorial Day parades in the nation. Participants in the parade include area high school marching bands, drum and bugle corps as well as many Veterans' groups, 6,000 JROTC cadets and the military.
. Concerts begin at 6:30pm. For the first time ever, the Chicago Jazz Festival will take place almost entirely in Millennium Park. The festival is August 29-September 1 and it opens with performances in the Chicago Cultural Center during the day, an early evening concert with Artist in Residence Hamid Drake at Roosevelt University's Ganz Hall, and the finale of Made in Chicago: World Class Jazz with Jack DeJohnette. The festival opens at 2pm on Friday on three stages in the Park including the newly named Von Freeman Pavilion on the South Promenade and the Jazz and Heritage Stage on the North Promenade. Once again, the Chicago Community Trust Young Jazz Lions Stage will return for the weekend, located on the Harris Theater Rooftop. The Young Jazz Lions stage features the best in local high school and college jazz bands. Headliners include the Charles Lloyd Quartet with special guest Bill Frisell, Jason Moran's Fats Waller Dance Party and on Sunday night to close the festival, Donald Harrison and The Congo Square Nation with special guest Willie Pickens. Tarim Uygur Song and Dance brings to Chicago and the United States its ancient songs of the Silk Road on Tuesday, May 14 at 6:30 pm in Preston Bradley Hall at the Chicago Cultural Center. The 19-member ensemble of musicians and dancers from the Xinjiang Uygur Autonomous Region in Western China has earned more than 20 national and international awards for their skill and beauty.
. StoryCorps Chicago will also feature an exhibition area where visitors can listen to stories and watch a series of StoryCorps animated shorts. Live From The Venice Architecture Biennale! Chicago is the first destination of the exhibit that represented the U.S. at the 13th International Architecture Exhibition at the Venice Biennale (2012). This exhibit is devoted to the growing movement of architects, designers, artists and everyday citizens acting on their own initiative to bring improvements to the urban realm, creating new opportunities and amenities for the public. The Chicago installation will recreate the lively exhibition design of pull-down banners, created by Brooklyn design studio Freecell and Berkeley-based communication design firm M-A-D. The contents of the exhibition have been updated to include more recent and more local projects. Among the 84 projects that will be presented, more than a dozen are from Chicago, including several that also appeared in Venice. Opening on May 18 and continuing through August 27 in the Chicago Rooms at the Chicago Cultural Center is Modernism's Messengers: The Art of Alfonso and Margaret Iannelli. In this show, one discovers not only the love they both had for modernism, but also the love that they had for each other. Despite very different backgrounds and very different approaches to life, their work together and apart displayed such a partnership that one could not tell where Alfonso's work ended, and Margaret's began. Time To Tune Up Your Bike - Chicago Bike Week Is June 10-14! Monday, June 10-Wednesday, June 12 - Spinning Alfresco presented by Life Time Fitness, The Healthy Way of Life Company. Start your day with FREE outdoor spin classes at Cloud Gate in Millennium Park. Space is limited and bikes will be available on a first-come, first-served basis with two classes at 6:30am and 7:30am. Monday, June 10 - Velo Yoga by Moksha will offer a free outdoor yoga class with tailored poses for cyclists on Daley Plaza, 50 W. Washington St., beginning at noon. Tuesday, June 11 - Bike Chicago Film in Millennium Park with a special screening of The Triplets of Belleville, beginning at dusk. Wednesday, June 12 - Near North Bike Tour. Join us for a FREE two-hour tour of the Near North Side beginning at 6:30pm. Pre-registration is required. Thursday, June 13 - Life Time Cycle Palooza will be the culminating event of the Spinning Alfresco classes, beginning at 5:30pm at Cloud Gate in Millennium Park. Join 100 fellow spinners for an evening spin class at Cloud Gate. The week's festivities conclude on Friday, June 14 at 7am with the Bike to Work Rally on Daley Plaza (Washington and Dearborn streets). Join thousands of cyclists for live music and FREE continental breakfast provided by 7-Eleven. Also, all cyclists will receive a FREE T-shirt as well as use of the complimentary Kickstart by Mountain Dew Free Bike Valet. We have a winner! Thanks to all who helped us select this years design. The Bike Chicago t-shirts will be free to all who cycle to the Bike to Work Rally on Friday, June 14.